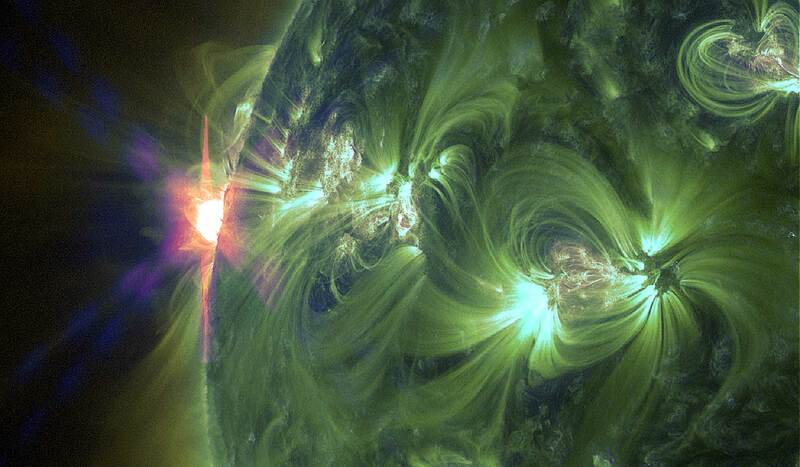 The solar flux is considered the fundamental energy source of earth's climate system on long time scales. In recent decades, some studies have noted that the tiny variations in solar activity could be amplified by the nonlinear process in climate system. But the astronomy factors, such as solar activity, presented intriguing and cutting-edge questions to better understand climate change. In 2012, China's National Basic Research Program examined the impacts of astronomy and earth motion factors on climate change. 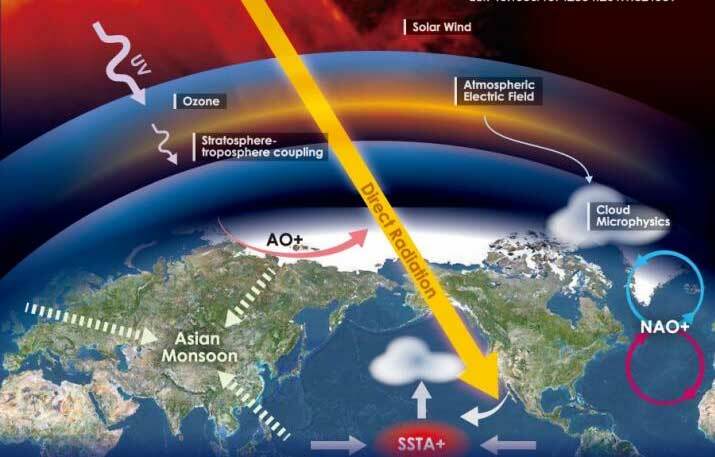 Led by Prof. Ziniu XIAO (Institute of Atmospheric Physics, Chinese Academy of Sciences), this five-year research program that involved scientists in different research fields greatly advanced understanding of this topic. One of the major achievements by the multidisciplinary team is that a robust relationship between solar wind speed and North Atlantic Oscillation was found not only on a day-to-day time scale but also from the perspective of year-to-year variation, suggesting a much faster mechanism of solar influence on atmospheric system compared to the ozone destruction. Moreover, the team improved the collision and parameterization scheme and qualitatively evaluated the effects of solar energetic particle flux on cloud charge. Hence the team proposed that the solar wind and electric-microphysical effect was the key mechanism of solar activity on climate.